Welcome to the premier provider of quality family and cosmetic dentistry in Lynnwood, Washington! Dr. David Tobias and his talented team are proud of their modern, technologically progressive office where patient comfort is their number one priority. Through personalized dental care and individual attention, they treat each patient’s needs and exceed patient's expectations daily. Call our dental office today for your complimentary consultation, where our patient-oriented treatment coordinators will discuss your needs and the various treatment options available for you and your family. Our dental office is conveniently located just off of Highway 99 at 19514 64th Avenue West, Suite A Lynnwood, WA 98036. We are central to all major Lynnwood and Edmonds neighborhoods, and would love to be your next dentist. Whether you need to schedule your next dental cleaning visit with us, need an emergency dentist or you are looking for a new dentist for your entire family - we hope to see you in our office soon, where you will be treated like part of the family! Dr Tobias and the team enjoys serving Lynnwood patients of all ages. From young in age, to the young in spirit, we can serve you. 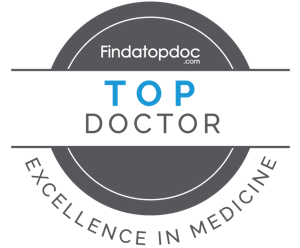 Dr Tobias has taken extensive advanced training in order to provide you with complete care. You can be confident in his ability to provide you with the smile you dream of. A functional smile means one that not only looks good but functions well. Your teeth and bite play a significant role in your overall health.